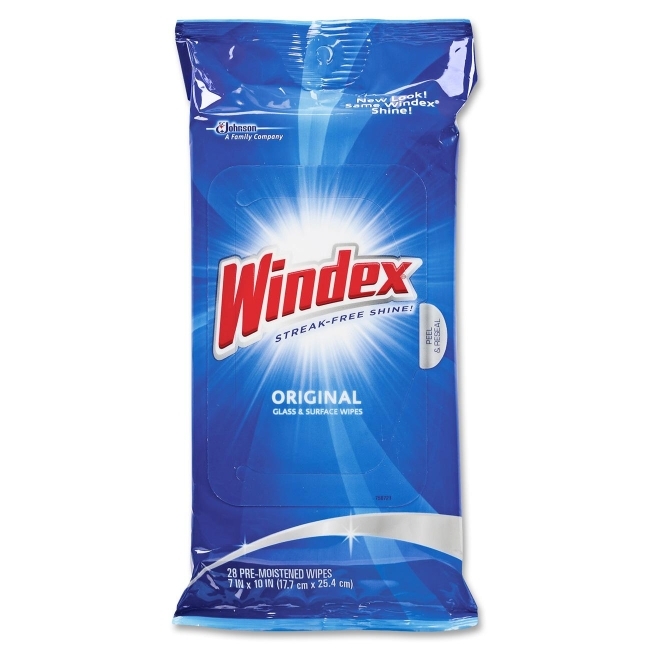 Windex wipes contain an exclusive glass cleaning formula with ammonia that leaves glass surfaces sparkling clean with no streaking or film. Formula does not contain phosphates. Wipes are recommended for a variety of hard surfaces.